Questa famiglia di motori industriali a gas (gpl e metano) utilizza blocchi General Motors. Equipaggiati con componentistica gas costruita dai migliori specialisti del settore. 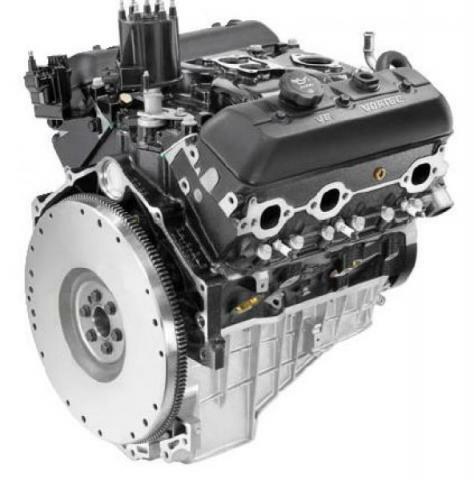 Disponibili con architettura a 4 - 6 - 8 cilindri, possono erogare una potenza compresa fra 50 e 150 HP. Possono essere allestiti con ii più moderni dispositivi anti inquinamento, rispettando cosi le esigenze di emissioni richieste attualmente. • Designed to work with gasoline, liquid propane gas and natural gas. • Pistons have high silicon content for improved durability and noise reduction. • Sintered powdered-metal exhaust valve seat inserts for enhanced durability. • Nodular iron crankshaft for increased strength. • World-class engine sealing system for superior leak protection. • Integral harmonic balancer/crankshaft pulley for easier accessory drive dress. • High Energy Ignition (HEI) distributor and coil are standard. • Intake/exhaust manifolds are standard on the engine. Designed to work with gasoline, liquid propane gas and natural gas. Roller valve lifters for reduced friction and improved fuel economy. Nodular iron crankshaft has undercut and rolled fillets for durability. Counter-rotating balance shaft for smooth performance and low noise. Engine comes completely component painted. Composite rocker arm cover and front cover for noise reduction. World-class engine sealing system for superior leak protection. High Energy Ignition (HEI) distributor and coil are standard. Cast aluminum oil pan for increased strength and noise reduction. • Nodular iron crankshaft has enlarged journal fillet radii for increased durability. • Fuel options LPG, NG crankshaft seal, a one-piece oil pan seal and moulded rocker cover seals. • Hydraulic roller camshaft is optimized for maximum performance. • Sintered powdered-metal exhaust valve inserts for enhanced durability. • Exhaust valve rotators improve valve and valve seat durability. • Positive inlet valve stem seals to control oil consumption. • High Energy Ignition (HEI) distributor and coil and are standard. Origin Engines offers 100% new certified and non-certified industrial engines in both 8.0L and 10.3L platforms that run on natural gas or propane. With Origin Engines, you get the high-performance industrial engines you demand - configured the way you want them. Disponibili in pronta consegna una vasta gamma di ricambi per motori GM 3.0L - 4,3L - 5,7L e sistemi di alimentazione gas IMPCO - WOODWARD - ECONTROLS.